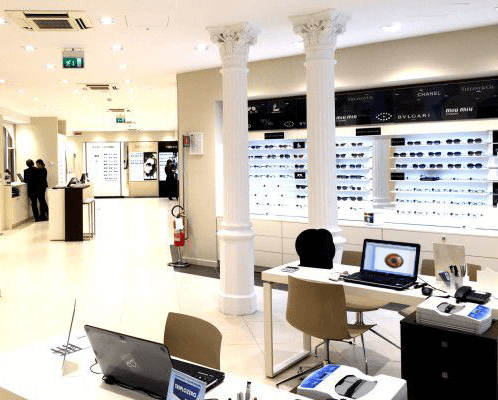 The premier Optometry Practice Management System for optical retail stores. An off-the-shelf enterprise optical store software suitable for any size enterprise chain. Deployed through centralized or distributed configurations; able to connect thousands of stores across multiple regions, with secure medicolegal data protection. Cost-efficient enterprise software solution, without the risk inherent with in-house system builds. Lead by a team of eye-care professionals, computer scientists and engineers, with hundreds of years’ optical software industry experience. 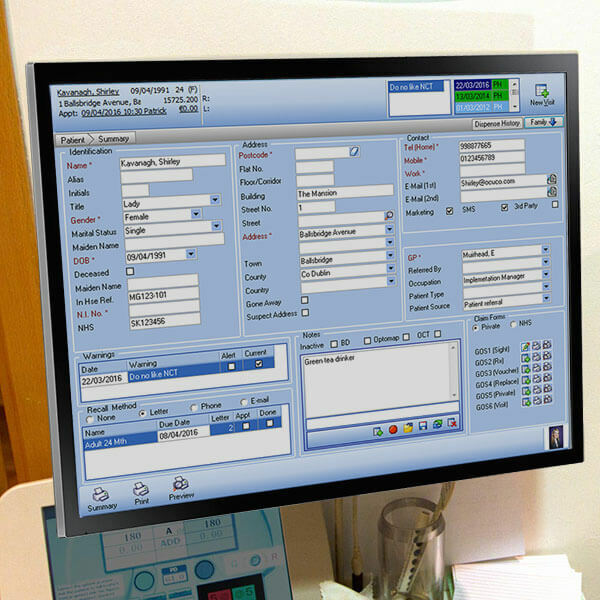 A range of in-store and online optical store software integrations providing a consistent and uniform patient experience organization-wide. Including, cross practice records, point of sale, digital store fronts, and online appointment scheduling. An international team of expert developers and operations engineers, delivering optical store software, training and support tailored to each customer, worldwide. Well-versed in each region’s protocols, legislation, language, fiscal policies, and local market requirements. Powerful optical retail software, providing full visibility and control over all chain stores. Configurable work-flows driving group-wide SOPs; real-time KPI reporting across the organization; and direct PoS access with a clear audit trail. The only optical store software designed to support multiple country requirements with one software. Available in several languages and fully compliant with various currency, taxation and healthcare models, practices, and legislation including HITECH and HIPAA. An integrated optometry EHR software delivering the most effective patient journey process - Resulting in more appointment availability in each practice, greatly improved conversion rates, and higher dispense values. Acuitas’ advanced level of integration with ERP, supply chain and ophthalmic instruments, optimize business and clinical processes across optical retail stores. Reducing administration costs, excess inventory, and rekeying errors that lead to remakes and insurance rejections. Real-time business analysis collated from all optical retail software data. Logix BI provides what-if analysis across pre-set and custom blocks; brand performance, recall performance, diary analysis, and any other set of optical business metrics. The individual stores send business statistics, patient scheduling and medical records, turnover, and stock data to the head office continually, providing management with a real-time view of each store individually and the organization overall. The head office cascades information down, updating each store according to the directives of the executive management – maintaining concurrent uniformity of processes and aesthetics between all locations. As each store’s data is kept in the head office database as well as on site, Enterprise customers are provided with a centralized backup. Combined with external and online backup services, Enterprise customers are assured the highest standards of data security. Acuitas Enterprise can be integrated with ERP and third-party head office systems such as SAP, Accountancy Packages, Data Warehouses (EDW), and even some Data Mining tools – allowing these applications to send and receive information between the practices and head through the Enterprise system.